Sciatica Treatment Mississauga is available at all of our PhysioNow Clinics! 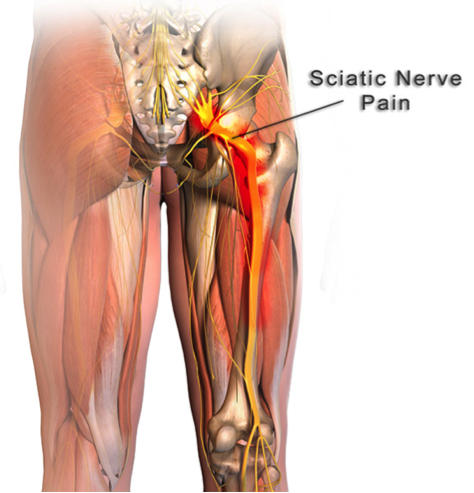 Sciatica refers to back pain caused by an inflammation with the sciatic nerve. This is a large nerve that runs from the lower back down the back of each leg. When something irritates or puts pressure on the sciatic nerve, it can cause pain in the lower back that spreads to the hip, buttocks, and leg. Sciatica Treatment Mississauga can help! •	lower back pain that extends through the hip and buttock and down one leg. •	The pain usually affects only one leg and may get worse when you sit, cough, or sneeze. •	The leg may also feel numb, weak, or tingly at times. •	Sciatica is caused by irritation of the root(s) of the lower lumbar and lumbosacral spine. Sciatica Treatment Missisauga involves treatments that focus on prevention and management of injuries or disabilities.Sciatica Treatment Mississauga helps to relieve pain, promote healing, and restore function and movement. A Physiotherapist may focus on decreasing pain with either passive or active therapy.